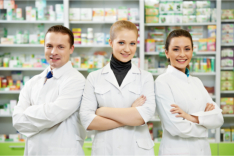 Our pharmacy staff seeks ways to provide personalized comprehensive medication care at affordable prices. It is our belief that affordable medications should be accessible to all. Health Care is a right and not a privilege that is why our pharmacy finds ways to be the provider of healthcare supplies, medications and compounding solutions that are competitively priced without compromising the level of quality.